For all of you who received Cheerson CX-10 mini-quadcopters as holiday gifts and are learning to fly, bookmark this page because you’ll need it soon. Here’s a list of some common repairs – you might as well learn about it now. FYI – The Cheerson CX-10 is also sometimes sold as the Cheerson Q4. This repair guide also largely applies to the similar Cheerson CX-10A and Cheerson CX-10C models. Also just for reference, here is the manual for the Cheerson CX-10. and it didn’t come with a prop guard (which weighs 0.05 ounces / 1.5g), then you should definitely get one. It will dramatically reduce the number of broken propellers you have to deal with, particularly while you are first learning. Removing the propellers: The propellers can be removed from the motor shaft by pulling them straight upwards. Sometimes they are loose, but sometimes it can take a little force. A pair of wirecutters gently put around the prop can help pry off the more stubborn ones. Just take care not to bend the motor shaft or nick it. Proper Propeller Placement: You will need to remove the propellers when they break, but even more often something will get tangled in them (in my house, that tends to be hair or carpet fuzz). Removing the propeller makes it easy to remove the offending tangle. Arrows indicate motor rotation direction. 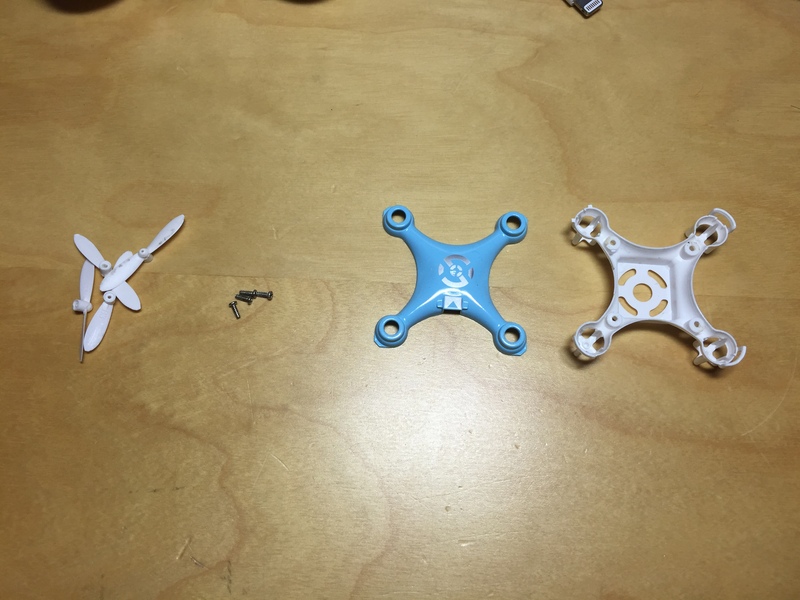 Make sure you put the propeller on so that when it rotates it pulls the quadcopter up! The key thing to remember is that when you put the propellers back, you need to match the direction of rotation with the propeller. There are two types of propellers- some of them rotate clockwise, and some rotate counterclockwise. 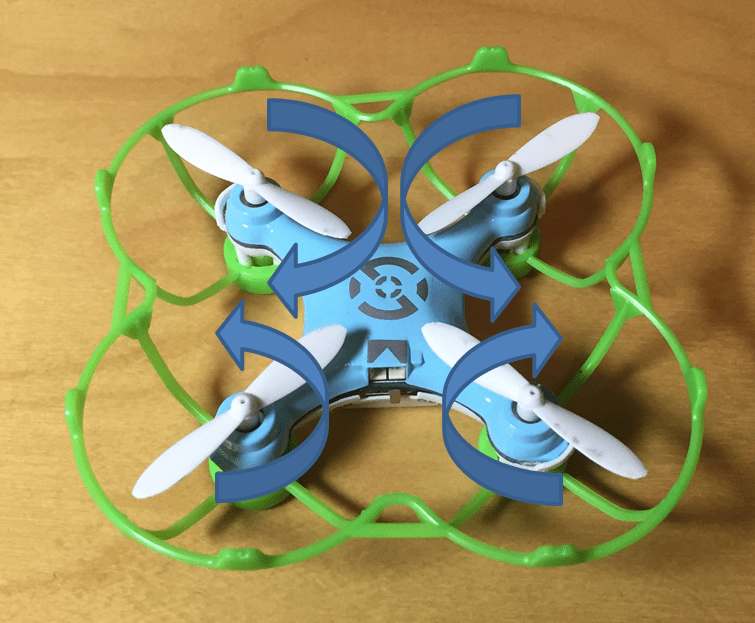 There is actually a letter code marking the propellers, but it’s easy enough to just remember the direction of rotation of the motor, and make sure that when the propeller rotates it should be pulling the quadcopter upwards. The problem is that the wiring will sometimes short against the metal body of the motor. In my case, the quadcopter would still turn on and pair with the controller, but then once you tried to fly it the motors would spin for a half-second and then stop. The LEDs would then start blinking like it need to be charged again (even though it had just been charged). On another quadcopter, it would fly for a few seconds, and then fall out of the sky. Amusing, but frustrating. Unscrew the four screw in the bottom. CX-10 PCB, motors, and battery. 5. Fixing the insulation on the worn motors is tricky because it might make it too thick to slide the motor back into the case. In one case, I just removed the motor and remounted it so that the exposed part is away from the motor body. In another case I used tweezers to put in a place a very small piece of black electrical tape to insulate the wire. Hello guys, I need some help regarding the model CX10R. There is a small part missing, it was located next to the power(charger) plug. It may be either a condenser or a resistor, and I’d like to know the value. Does it ring a bell to any of you? I can send a pic of the missing part if it helps. Thanks! I’m also having throttle problems. Motors stop 1 foot from the floor. It will fly short distance and stop. Will not hover. Batteries run out after 3 minutes. Very dissatisfied with Cheerson CX-10a mini drone. My camera wires became disconnected from the circuit board. 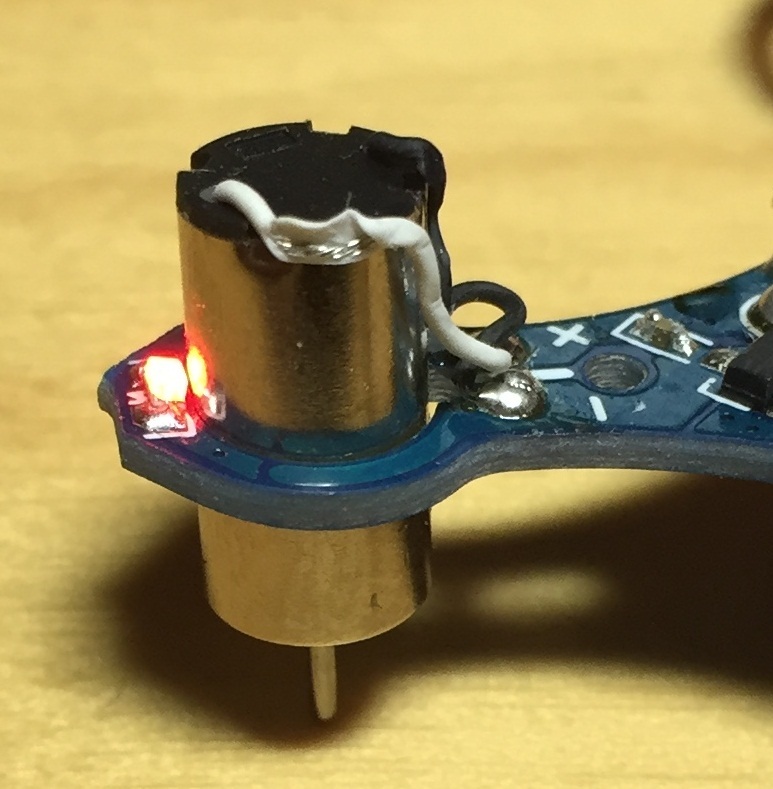 Has anyone a diagram of the circuit board with all connectors posted? My cx-10d takes off, rises up about a foot, then cuts off. I can do it over and over, but it won’t stay in the air more than a second. I’ve made sure the battery is charged fully. One of my propellers doesn’t move when I fly it, it just stays still while the other 3 spin and it keeps flipping over. There is also a weird burning smell that happens when I fly, which I worry about. It might be that the motor is seized or shorted. 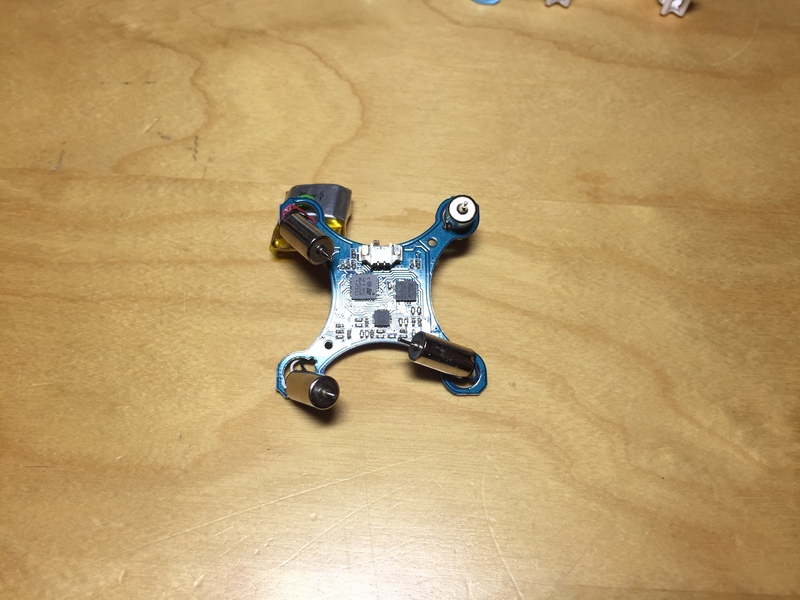 It may need to be replaced… but it might be easier to just buy an entirely new quadcopter rather than repairing it. my cheerson cx-10c isnt taking off. when I try to take off the motors will move but it wont take off as if something is weighing it down. I have not done a single mod other than gluing a broken landing gear back in place. It does sound like the propellers are installed so they’re not angled in the right direction. I’m assuming that you checked that all the propellers are installed properly and angled in the right direction as I describe in the photo. If that’s ok, then it could be that the motors have a shorted wire (in which case it will spin for a bit than stop), or one of the motors is seized. You can tell this by spinning it by hand when it is off and seeing if it spins freely.